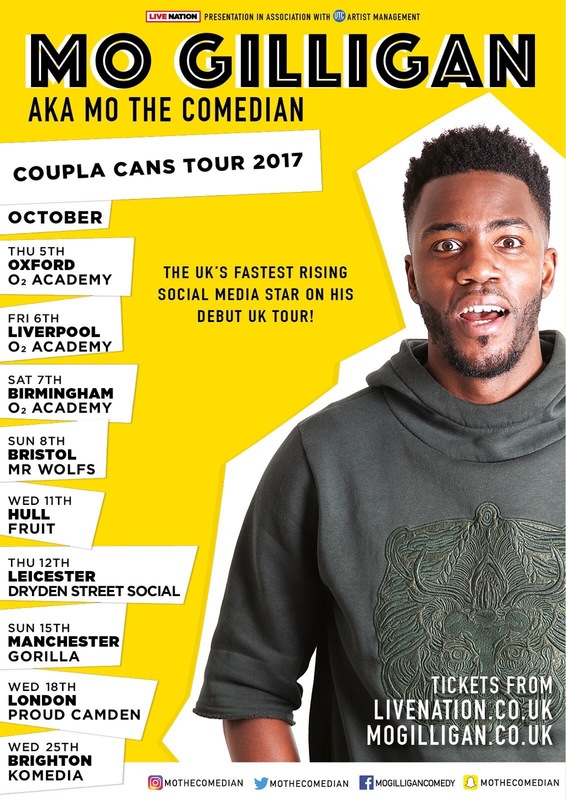 UK’s fastest rising social media star Mo Gilligan aka Mo The Comedian has announced that he will be going on his biggest UK tour yet, starting in October. Mo will kick off his UK tour on Thursday, October 5 at the 02 Academy Oxford, then will go on to perform at many of the UK’s top event venues including O2 Academy Liverpool and Proud in London, and will conclude his 9-date tour on Wednesday October 27 at Komedia Brighton. Tickets are out now and selling fast. Click here to get yours.